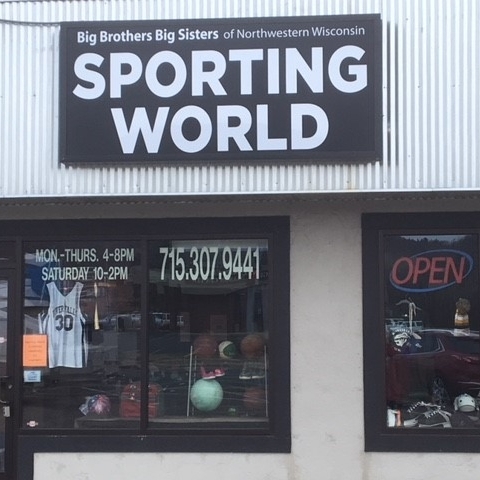 Sporting World of River Falls is a special project of Big Brothers Big Sisters of Northwestern Wisconsin whose vision is that all children achieve success in life. Big Brothers Big Sisters of Northwestern Wisconsin hosts a number of fundraising events throughout the year and saw an opportunity to create something that not only betters River Falls but also helps sustain the programs in the St. Croix Valley. By shopping at Sporting World, you directly support mentoring relationships for children facing adversity. Thank you for your support!